Grandparents: Do you have any plans to spend time with your grandchildren this spring? Have you thought about how you’ll keep the little ones entertained? If not, that’s okay—we made a list of some of the best activities for grandparents and children to enjoy this spring in the great outdoors! So, if you were worried about having enough stuff for your energetic grandchild to do, try out some of the activities below. 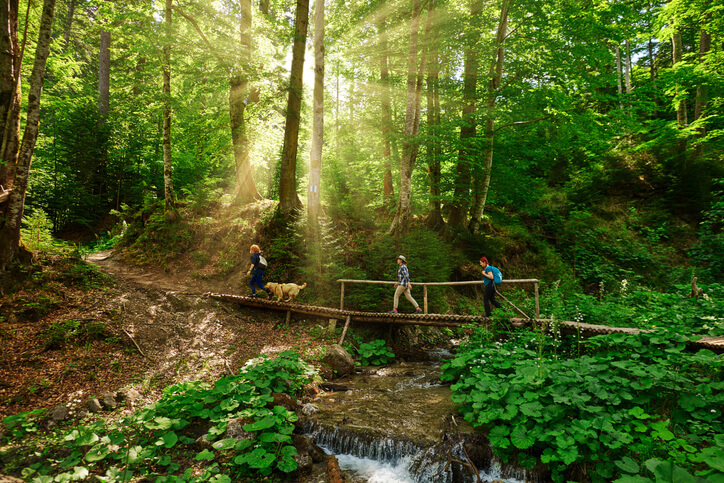 We hope they help you get outside and get active as you bond with your grandchildren and make lasting memories. 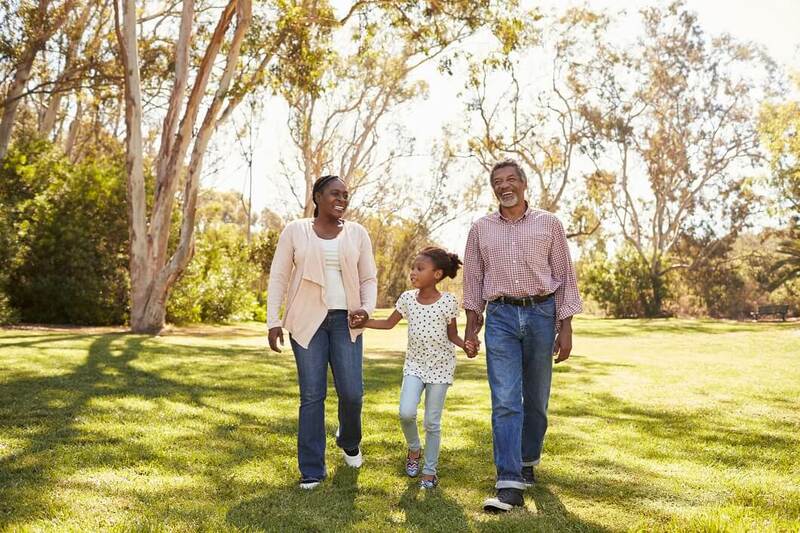 Spending time outside, whether in your backyard or the park, is a great way to pass time with your grandchildren. The problem is, kids can get bored pretty fast without something holding their attention. Taking a walk in the park isn’t the most thrilling activity for a curious young mind. But if you can mix in an engaging activity–like picking flowers–a short walk becomes infinitely more interesting and fun. Get creative and turn flower picking into a game. Challenge your grandchild to find a specific number of a certain type flower. Say, if they’re five years old, have them pick five white flowers. You can also have them pick a bouquet to give to their mother—tie the flowers together with a piece of twine and you’ve helped them make a sweet gift! For older kids—especially those interested in science—it may be fun to pick up a copy of the National Audubon Society Field Guide to Wildflowers and try to identify those you find. 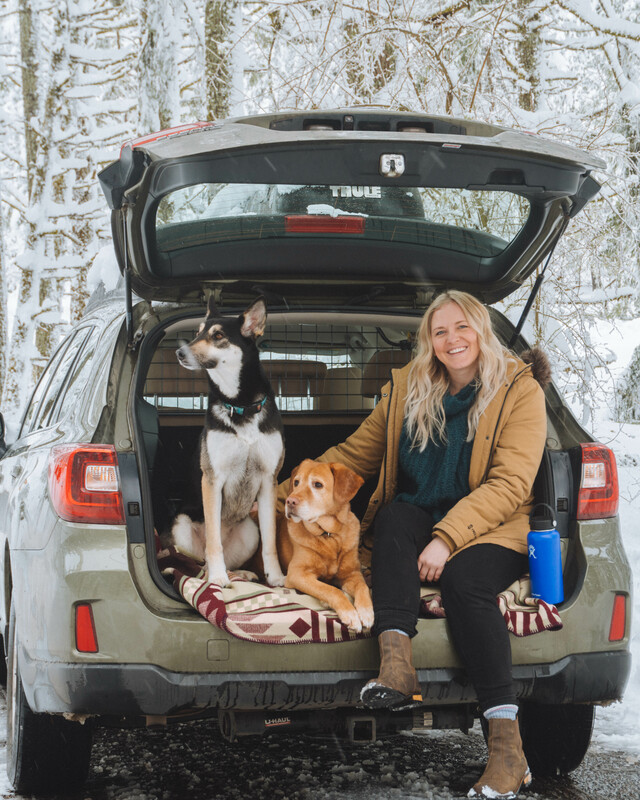 Worried about muddy rubber boots dirtying your car? A set of Travall Mats has you covered. 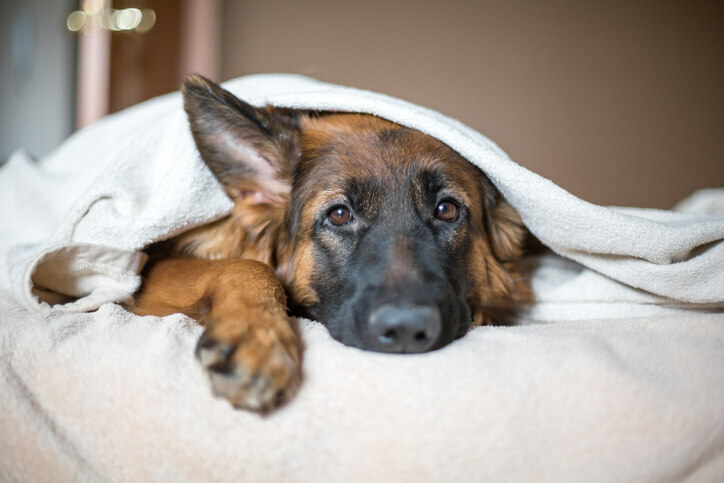 Two things most kids love: Animals and crafts. Why not combine both by building a bird feeder? 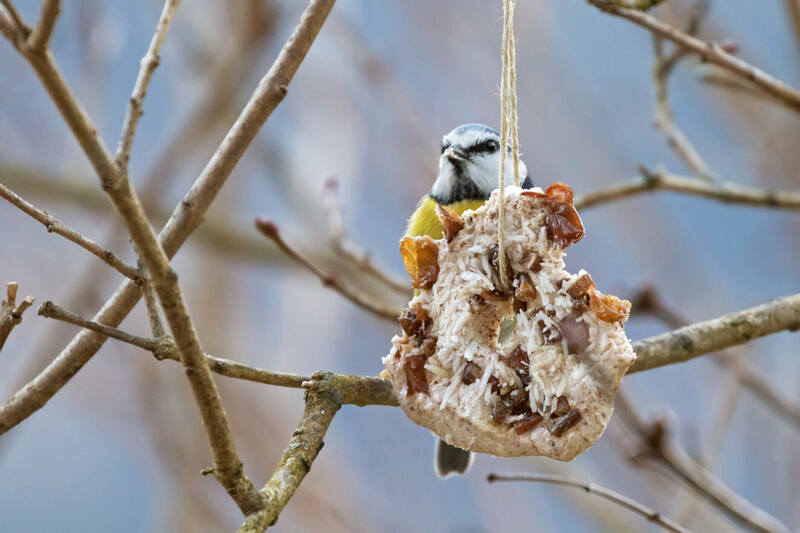 There are many types of bird feeders, but the kind we’re talking about are made of everyday objects and don’t require access to a woodshop. For project ideas, from simple suet cakes to more elaborate and creative paint can feeders, check out this awesome list of kid-friendly bird feeders by Apartment Therapy for ideas. After you complete the bird feeder, set it up in the backyard and wait for a flock to come feed! Scavenger hunts can take many forms, making them adaptable for children of all ages. They’re also very easy to come up with, requiring nothing more than a pen and paper, and can entertain you and your grandchild for hours. For young children, simple scavenger hunts can be made by focusing on finding objects that consist of basic colors and shapes (i.e. a red leaf, a round stone, etc.). As your grandchildren get older, you can make the scavenger hunts more complex and you can also incorporate subjects you know they’re interested in. For more tips on planning an engaging scavenger hunt for your grandchildren, check out this excellent article by The Spruce. Making stuff is fun. Making stuff that produces tangible results is even better. That’s why we were so excited to find this awesome YouTube video showing how to make a boat out of a single sheet of paper. Why not give it a shot with your grandchildren then head down to the local pond to give it a float? No pond nearby? The bathtub will do just fine . . . 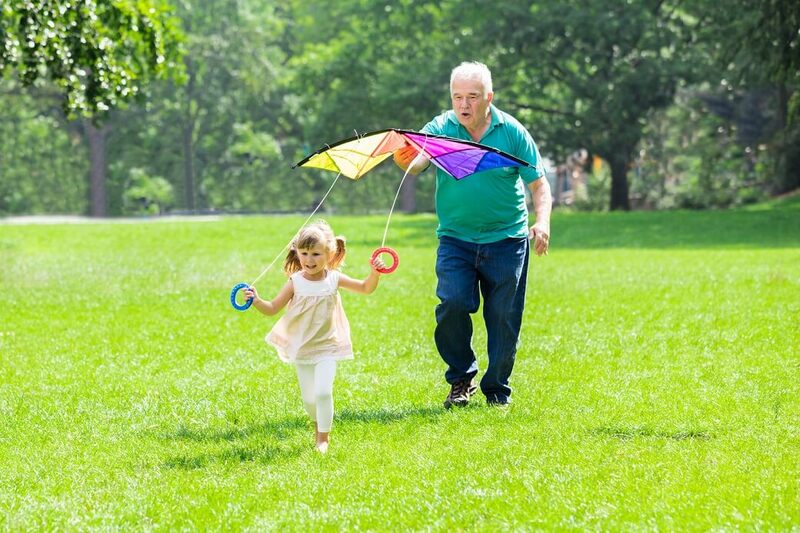 If conditions are right, heading to the park to fly a kite can be a rewarding way to spend the afternoon with your grandchildren. Most sporting goods stores carry a selection of kites, and when choosing one, go with a simple model that’s easy to fly. Have your grandchild hold the kite up in the air with their back facing the wind as you slowly let line off the spool. Once the kite is airborne, let your grandchild take over the reins. Have some old fishing rods tucked away in the garage? Dust them off and teach your grandchildren how to fish! Try to find a pond or small lake with good bank access and a healthy population of bluegills or other sunfish species. These small-but-mighty fish are widespread throughout the U.S. providing lots of fishing opportunity within close proximity to urban areas and are relatively easy to catch with basic fishing gear. Get some hooks, sinkers, bobbers, and use worms or corn for bait. Teach your grandchild how to cast and how to patiently watch their bobber. Then, it’s only a matter of time before they reel in their first fish! Have some weeds that need pulling? Let’s not forget that kids love playing in the dirt and mud and would likely jump at the opportunity to pull weeds! Turn it into a game with some ice cream as a prize and those beds will be weed-free in no time. 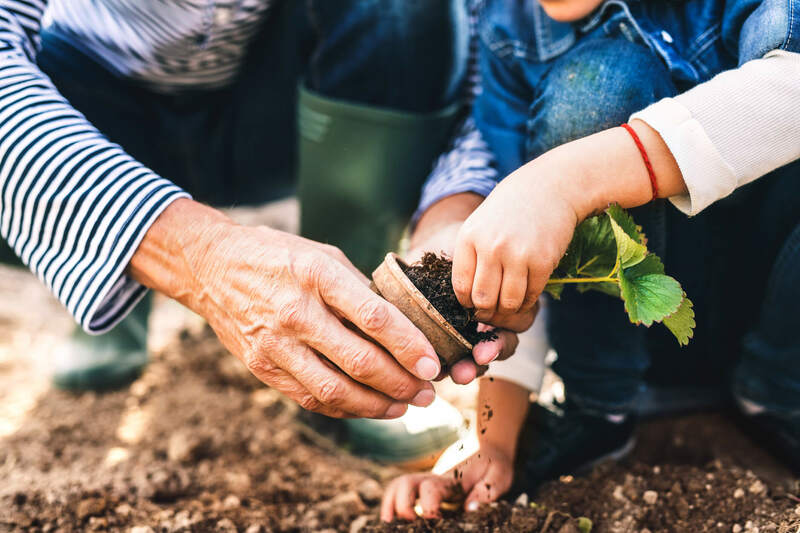 Another way to get your grandchild involved is to take them to the plant nursery to pick out some plants and let them choose where to plant them in the garden. You’ll have the opportunity to teach them about gardening and they’ll feel a sense of ownership and pride over their special little plot. This activity is one of the dirtier on our list, which is exactly why your grandchildren will love it. Before you head to the nursery, check to see if there’s a Travall Liner that fits your vehicle’s make and model to protect the rear cargo area from any mess caused by hauling plants and soil home from the nursery. This activity is by far one of the dirtiest on our list, which is exactly why your grandchildren will love it. Before you head to the nursery, we recommend adding a Travall Liner to your vehicle to protect the back cargo area from any dirt or mess caused by hauling plants or soil. What Memories Will You Create with Your Grandchildren? The seven activity ideas for grandparents and children we shared today are only a sampling of what’s possible, but we hoped they sparked some ideas. Get creative, and when in doubt, head outside and try to find a way to expose your grandchildren to the beauty of the natural world. No matter where your journey as a grandparent takes you, Travall is here to make your time on the road less stressful, less messy, and more enjoyable, especially on your way to visit grandchildren who just can’t wait to see you.